Ukraine’s War: A Prelude to World War III, Says Former Ukraine Ambassador to U.S.
“This [U.S-Russian conflict that’s being carried out in Ukraine] is a prelude to World War III. A lot of people know this.” So says Yuri Shcherbak, who was Ukraine’s Ambassador in Washington during 1994-1998. Dr. Shcherbak was one of Ukraine’s few progressives ever to become an official of the Ukrainian Government. He now is speaking out publicly for the first time to express his concern about the movement toward a nuclear conflict between the United States and Russia, and about Ukraine’s dangerous current role in helping to bring that about. In 1998, he authored a book The Strategic Role of Ukraine, published by Harvard University Press; so, this is a subject that he knows a lot about. On Monday, December 29th, he spoke on Ukraine’s Channel 5 television, to warn his country about the direction of their newly installed Government, one which had come to power in a violent coup on February 22nd and has spent its time since then bombing the area of Ukraine that had voted 90% for the democratically elected Ukrainian President who was overthrown in the coup that brought this new Government to power. Dr. Shcherbak is especially concerned about the issue because of his intensive knowledge of “the strategic role of Ukraine,” and also because of his having served in Washington as Ukraine’s Ambassador. Dr. Shcherbak also speaks here as being a rare person in his country’s recent political history: an anti-communist who also is anti-fascist. Shcherbak (despite his coming from Ukraine’s ultra-conservative northwestern half) is an authentic Ukrainian champion of democracy. As such, he also is a respected international expert on the topic of U.S-Russian relations and of Ukraine’s role in that. He’s not just another person who has an opinion on the matter. 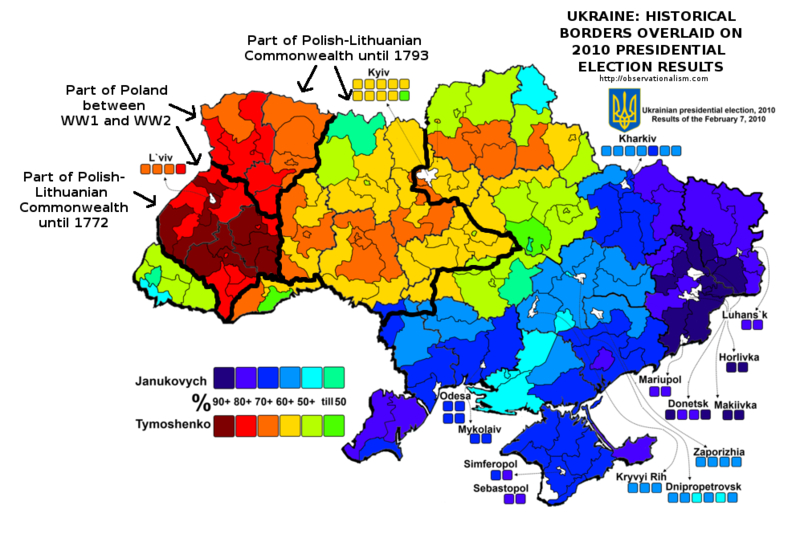 Channel 5 TV was owned by today’s Ukrainian President Petro Poroshenko until he became elected by the voters (in the non-rebelling region) to become the President (over all of Ukraine) on May 25th. This channel, where Poroshenko had hired the producers, is generally regarded as still representing his viewpoints. Poroshenko is now being strenuously attacked by other Ukrainian oligarchs, especially by the U.S. White House’s friend Ihor Kolomoysky (a big financial backer himself of the extermination-campaign), as being insufficiently aggressive inexterminating the residents in Ukraine’s rebelling region. Dr. Shcherbak is saying, basically, that exterminating those people with increased intensity would be dangerous for all Ukrainians, not only for the ones in the southeast, whom the Government has been bombing. When the European Union, immediately after the February 22nd coup, sent an investigator to Kiev to find out who was behind the massive bloodshed that had brought about the downfall of Ukraine’s democratically elected then-President Viktor Yanukovych and the installation of the new pro-‘Western’ regime which was replacing Yanukovych, the investigator found that even Petro Poroshenko himself privately admitted then to him that the masked gunmen were from their side, not from Yanukovych’s, and so the idea (being spread in Washington and Kiev) that Yanukovych was behind it was just a story for the public, not the actual truth of the matter. The EU’s Foreign Affairs Minister was shocked to learn this, then immediately changed the subject (since the EU is basically controlled from Washington). 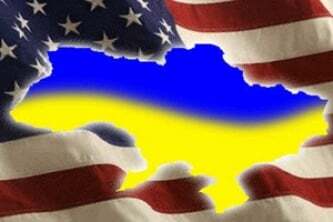 Poroshenko is now trying to satisfy Washington and the American oligarchs who control it, at the same time as he is satisfying the oligarchs in Ukraine itself (of which he is one). Thus, for Dr. Ambassador Shcherbak now to appear on Poroshenko’s former TV station, when Poroshenko is quite possibly about to be replaced by a politician who wants to bomb the rejectionist region even more than Poroshenko has already been doing, might possibly reflect this intensifying political split among Ukraine’s oligarchs, regarding whether they really do want a nuclear attack by Washington against Russia — an attack from which Ukraine would be perhaps the major staging-area, and likely to suffer far more than America’s oligarchs. So, a split is opening within the international aristocratic order, as events proceed closer toward a nuclear attack. The ultimate decision will be made by Barack Obama — or, perhaps (if after 2016), by whomever succeeds him. In any case, he has built the foundation for such an attack.